La Sportiva's RT Binding is a lightweight yet adjustable tech binding for racing and long or fast tours. Weighing in at just 30 grams more that La Sportiva's World Cup race binding, the award winning RT features three riser heights and full release value adjustability. It also has the option to add innovative lightweight brakes, making this the lightest binding on the market that is resort friendly without leashes. Unique release adjustable toe piece, ranging from roughly 8-14 on the DIN scale in tour mode. Separate lateral release and vertical release adjustment screws in the heel, which is unusually flexible for this binding weight. Dynafit compatible with hardened steel heel pins. Rotating heel piece lets you pick from flat-plus-two riser heights. Integrated attachments for optional crampons prepare you for those icy days. Optional braking system not included. Please note that the picture does not show the highest riser, as it does not come attached in the box. Adding the riser, which screws onto one side of the rectangular housing, adds about 7 grams per binding. 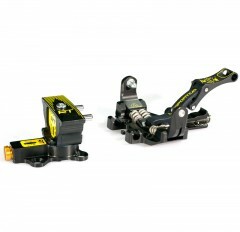 The RSR binding is La Sportiva's lightest race binding, saving your 30 grams over the RT. For this price you will pay $50 and lose two riser heights and all release adjustability. The toe pieces are very similar, featuring both skiing and locked-out modes and the ability to add a crampon should the going get slick. 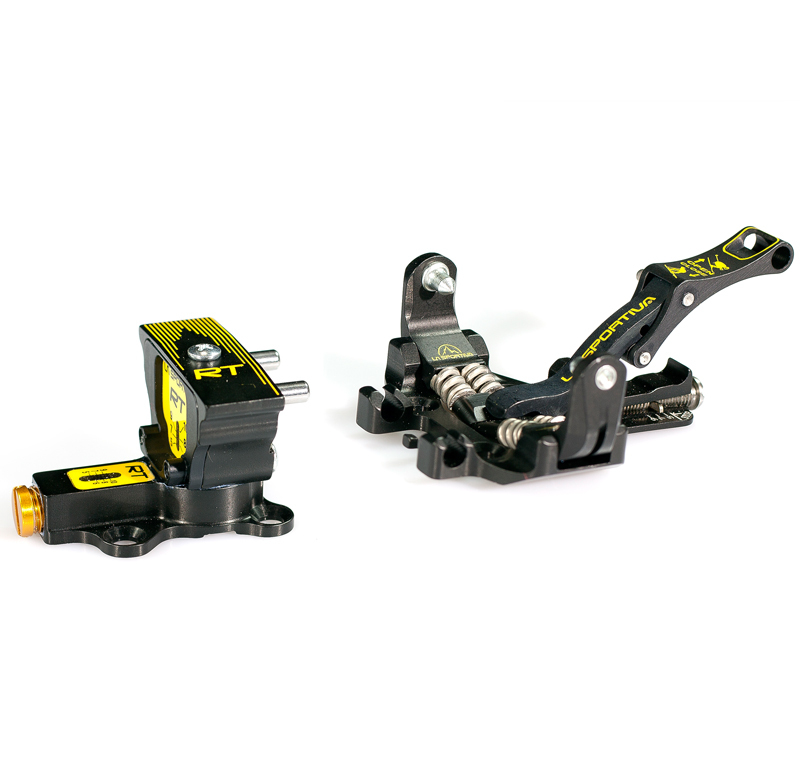 See our article La Sportiva Bindings for a more detailed comparison.